Canadian country singer and songwriter Dean Brody grew up on the edge of the Canadian Rockies in Jaffray, British Columbia, spending a formative rural childhood hunting, fishing, splitting firewood, playing sports, and participating in the local 4-H. But he also played guitar and wrote songs and determined early that he wanted a career in music. Life puts you where it puts you, though, and when he was 16, Brody, like most every other boy in the area, started working at the sawmill. The job convinced him that he had to take a shot at his music dreams, and in 2004, Brody moved to Nashville, TN on a wing and a prayer. Eventually he found a music publishing deal and began to focus on his songwriting, but after two years, his contract wasn't extended. To make matters worse, his U.S. work permit wasn't renewed, and Brody was forced to move back to Canada, all but sure that he was going to have to abandon his music dreams. Before he really had a chance to settle, though, Brody learned that Keith Stegall, then working with Broken Bow Records, wanted to sign him to a recording deal. 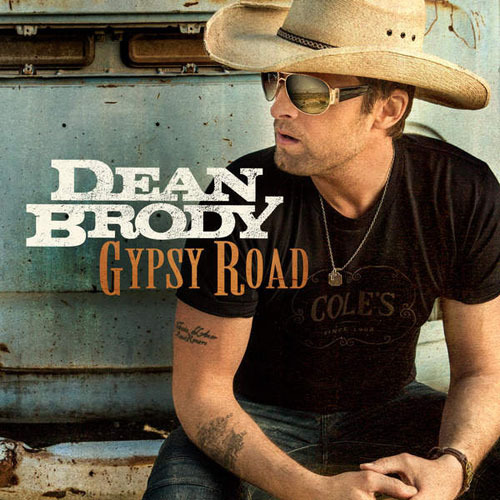 Brody returned to Nashville, and began working with friend and producer Matt Rovey on his debut album, the self-titled Dean Brody, which Broken Bow released in 2009. A first single, "Brothers," generated enough play to hit the middle of the charts in both Canada and the U.S.A. that same year.